We've met some great people along the way. This page is dedicated to the people and websites we like. Check out these fantasy and sports related sties and see what they have to offer. Lineups.com is a data sports science company. They provide real-time lineup data for MLB, NFL and NBA as well simulation and animation tools. Lineups.com creates revolutionary betting and fantasy tools to help you win more. when placing a bet or creating a fantasy team. Find up to the minute NFL Depth Charts, MLB Lineups, NBA Lineups, NFL & MLB Matchups. RotoBaller is our first NFL & DFS Lineup optimizer partner. They have paired our optimizer with their great free content and Premium tools. RotoBaller offers the premier Fantasy Football Rankings Wizard as well. Be sure to check them out and get an edge in your season long and daily baseball, football, basketball and hockey games. 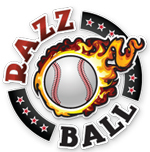 Razzball is one of our premier partners. We have joined forces to bring Razzball projections into the daily fantasy cafe MLB lineup optimizer. Razzball is offering a DraftKings and FanDuel MLB Optimizer. Razzball historically has provided season long content for Baseball, Basketball, Football, Hockey, Golf and Soccer. In recent years, Razzball is bringing quality DFS content to the fantasy world. We're excited to be teamed up! The leader in spreadsheet projection tools and analysis. Spreadsheet Sports has been creating quality projections for years at a most affordable price. Many of the best daily fantasy players in the industry use spreadsheets as their main research tool. HockeyDraft.ca is a frequented site by hockey season long addicts. We've partnered with HockeyDraft to bring a DFS angle and provide tools for their users. Give them a visit for the latest hockey news. Junkyard Jake is one of the originals and still going strong. Tons of great data and resources for all your fantasy football needs. Draft Daddy is one of the most knowledgeable draft analysis website we've seen. The stick to what they know best and do it well. 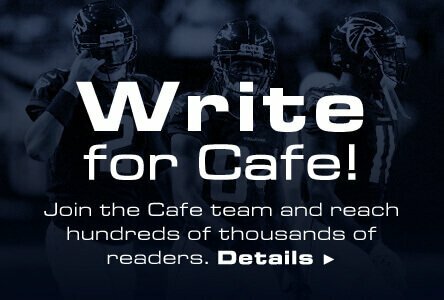 With year round coverage of College prospects and news, it's a great resource for all Cafeholics. Check them out for detailed NFL draft info and rankings. Free sports leagues contests. Anyone can enter and you can win free tshirts! Contests available in professional football and college basketball and football. 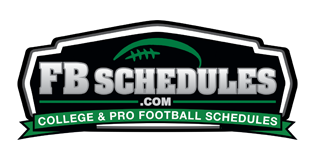 FB Schedules if the #1 destination for college and pro football schedules online. Personal favorite college team site dedicated to the Georgia Bulldogs. Coverage of Football, Basketball and Baseball. MLB DFS Weather is an official partner of Daily Fantasy Cafe and the premier weather forecaster for baseball weather. A helpful site for hockey enthusiasts. Pools, stats, injuries, starting goalies. Check them out for all your hockey needs. NFLWeather.com: All games, scores and forecasts on one easy page. One of the go to websites for gameday weather.